Once upon a time I had a poster of John William Waterhouse's Lady of Shalott. The lighting, the shadows- the beautiful story of imagination and magic that drenched the scene, and sparked the imagination is captivating. 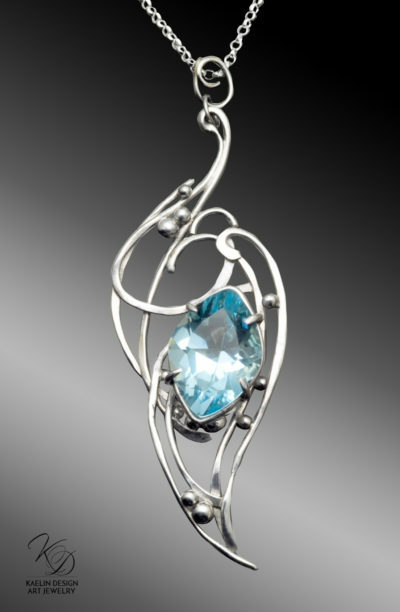 It was years later that I read Tennyson's poem, which was not at all the story I'd read between the brushstrokes! And I loved it anyway. 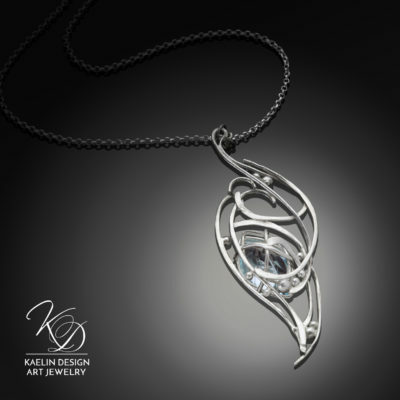 But just this week, I listened Loreena McKinnett sing the ballad... once again my mind drifted among the reeds, where the lilies flow, and Camelot beckoned in a dream of magic and beauty... and I dreamed this pendant. 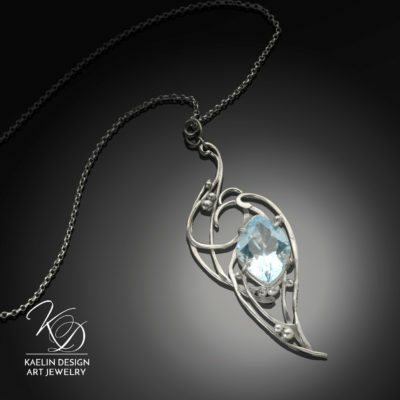 Hand forged in Argentium Silver, and featuring a stunning 10.92 carat blue Topaz, Lady of Shalott is a one of a kind pendant, swirling with hammer strokes and bubbles of gleaming silver that measures 3 inches in length.